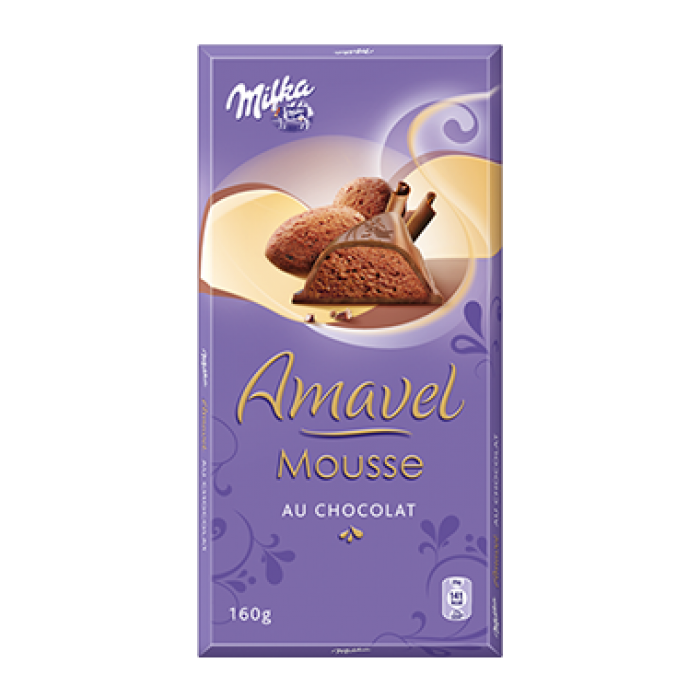 Milka Amavel Mousse Chocolate is a loosely whipped chocolate mousse covered with delicate Milka Alpine Milk Chocolate. 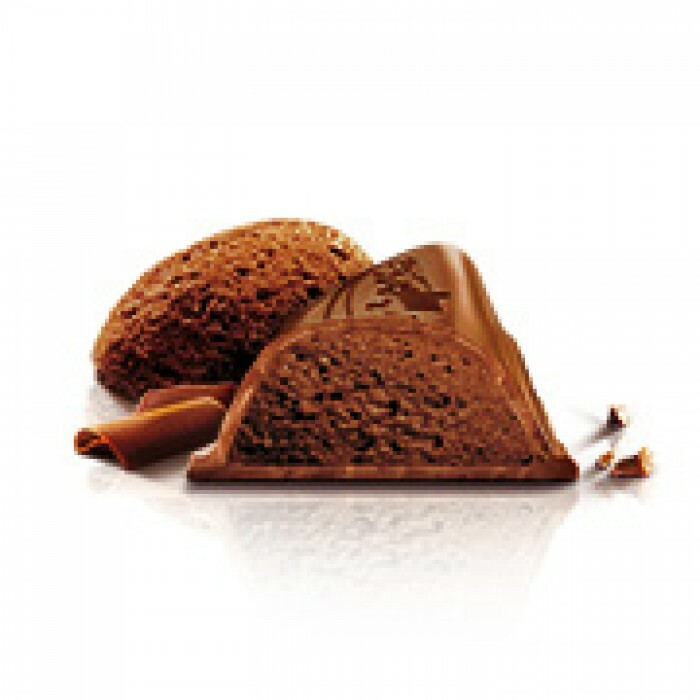 sugar, cocoa butter, cocoa mass, skimmed milk powder, vegetable fat, whey powder, butter, whole milk powder, hazel nuts, low fat cocoa, emulsifier (soy lecithin), flavors. CONTAINS MILK HAZELNUT, SOY. MAY CONTAIN TRACES OF OTHER NUTS INCLUDED.